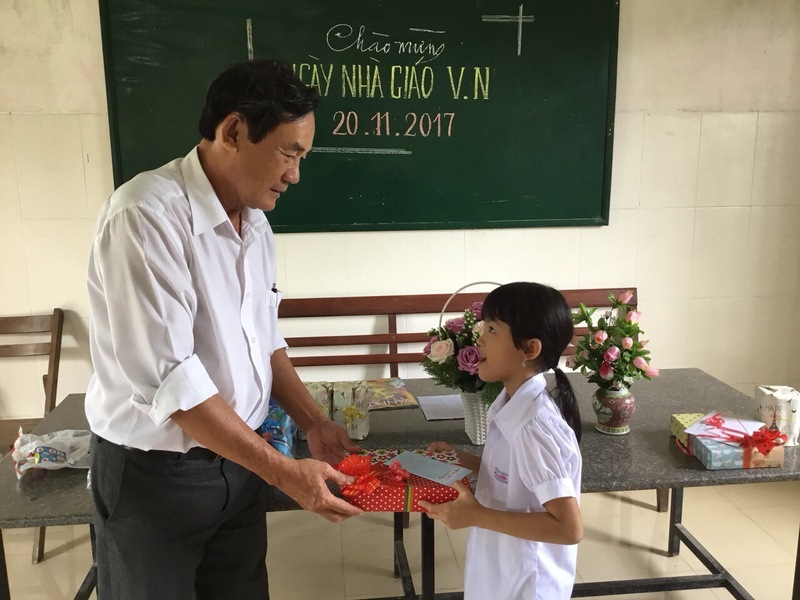 On November 21, 2017 we had a Teacher’s Day party at the Kim Son Charity School. 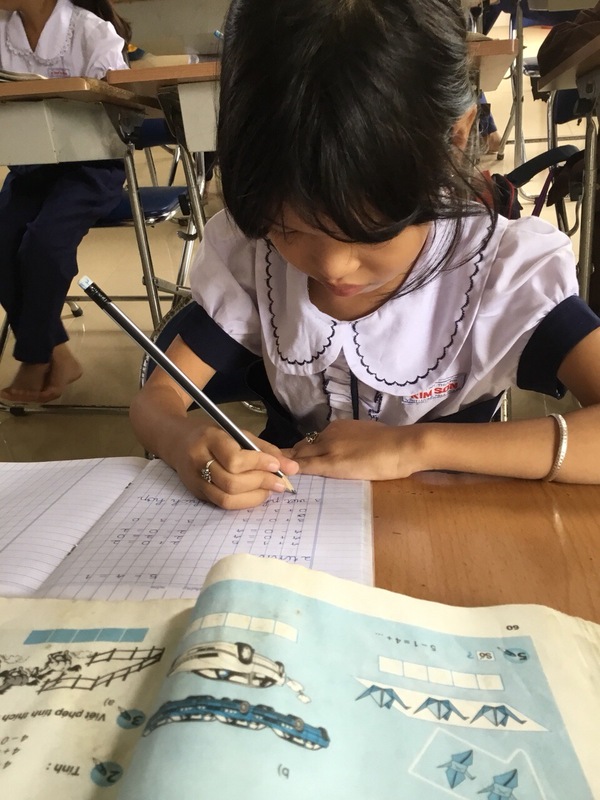 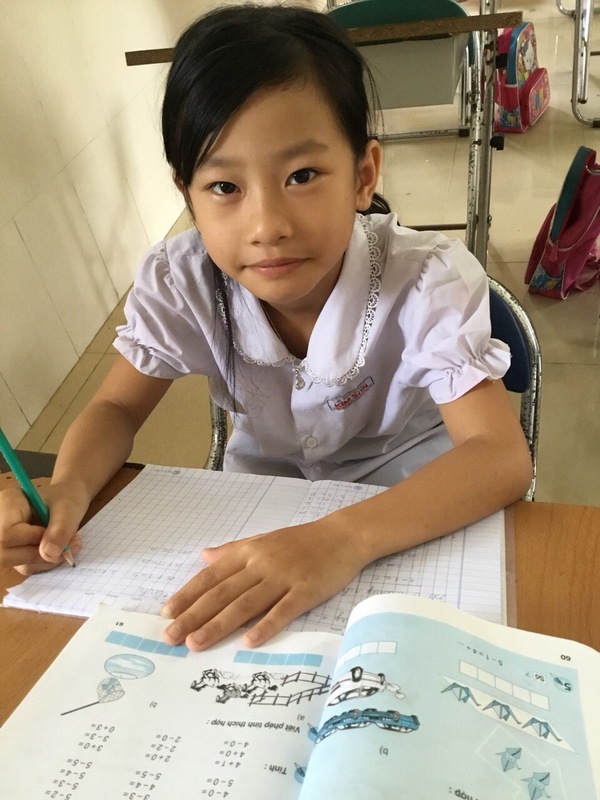 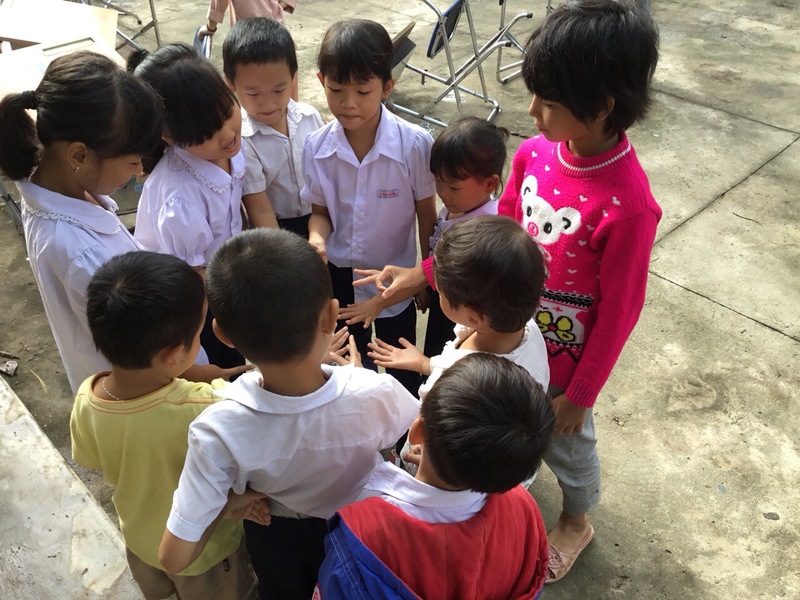 Kim Son has run a primary school for neighborhood children for many years, ensuring that children from poor families who cannot afford the costs of public school will receive an education. 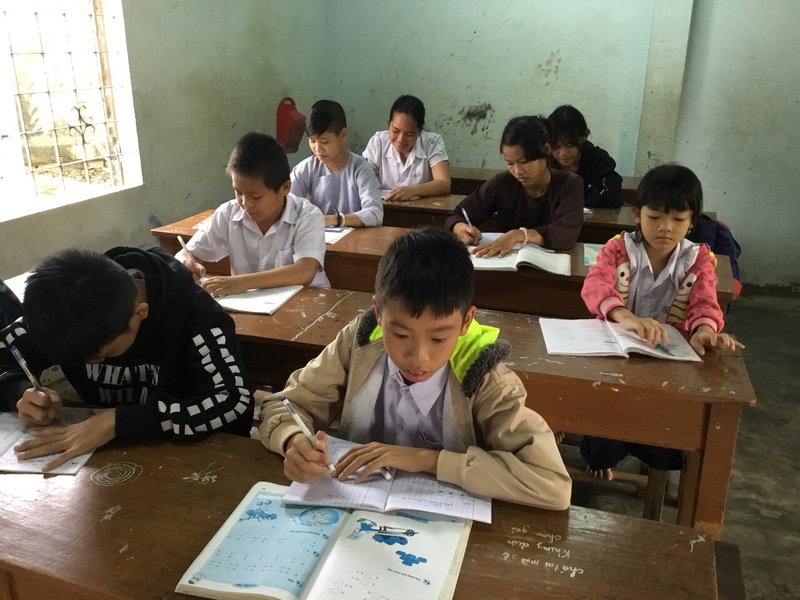 Typically, parents must buy school uniforms, textbooks, school supplies, and pay school fees. 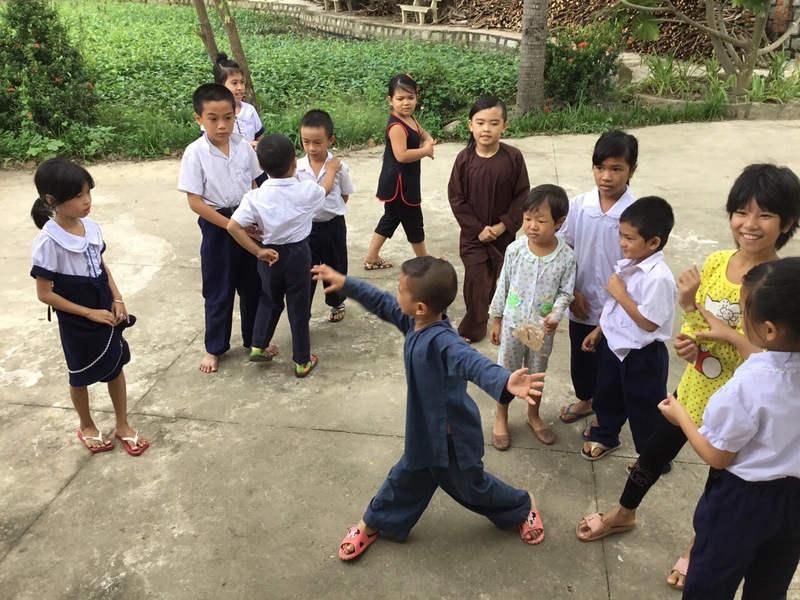 At Kim Son, all the costs are free for the children. 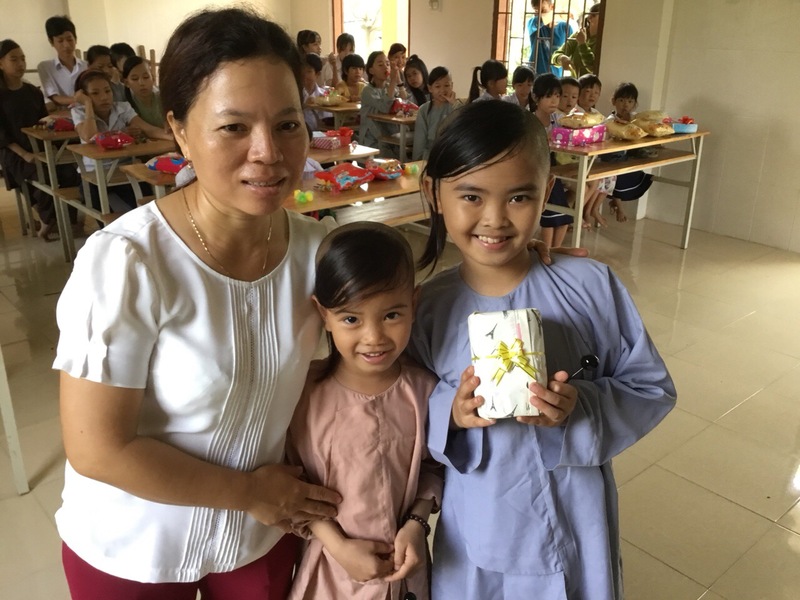 There are 3 teachers at the school who dedicate their lives to the children. 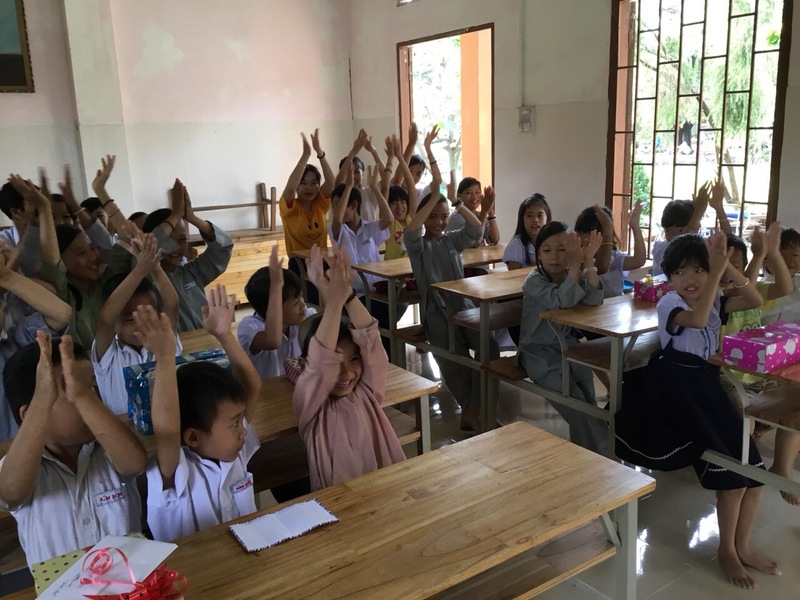 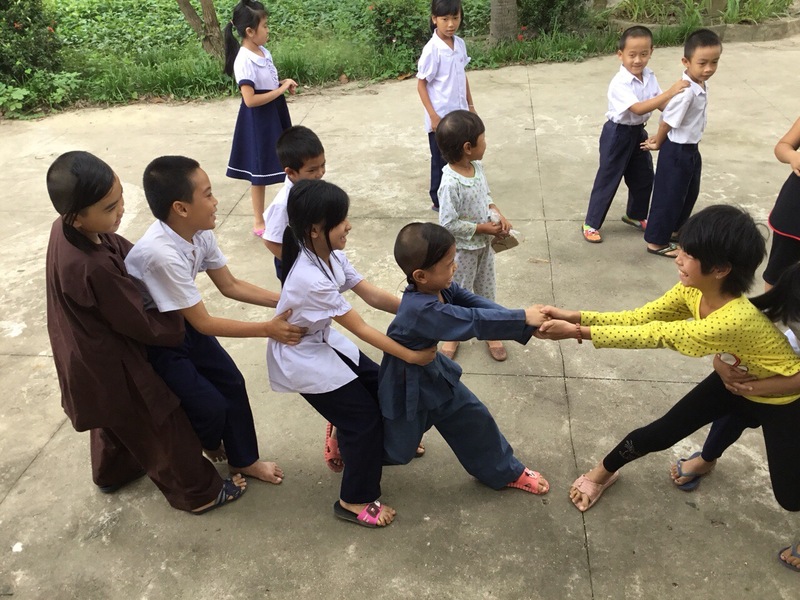 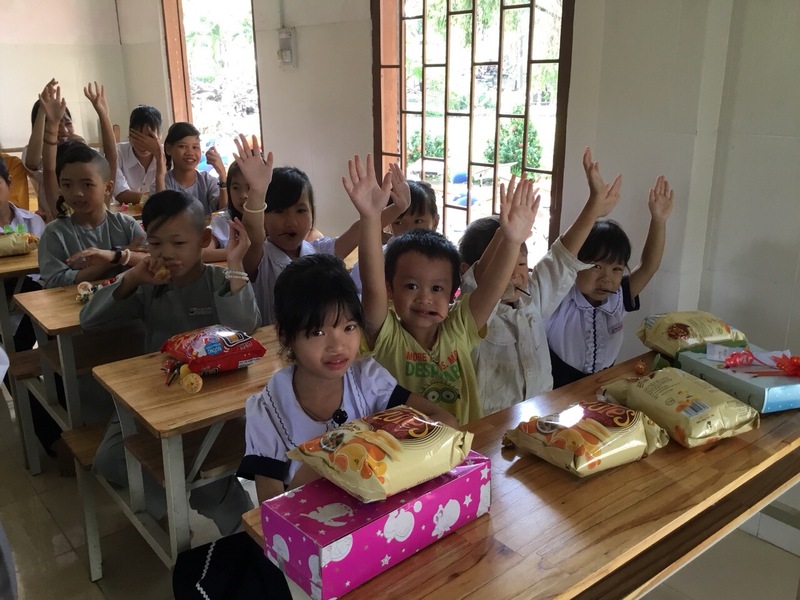 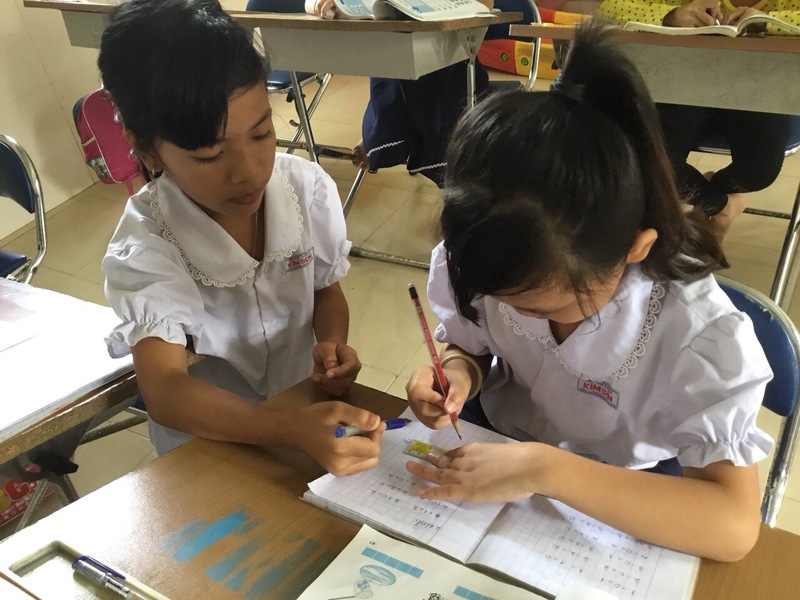 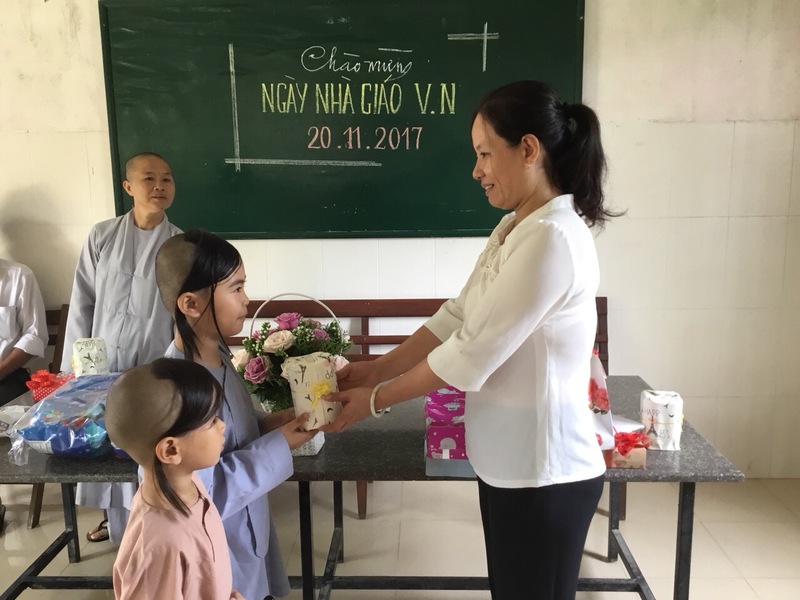 In Vietnam, Teacher’s Day is an opportunity to thank the teachers for all they do for the children. 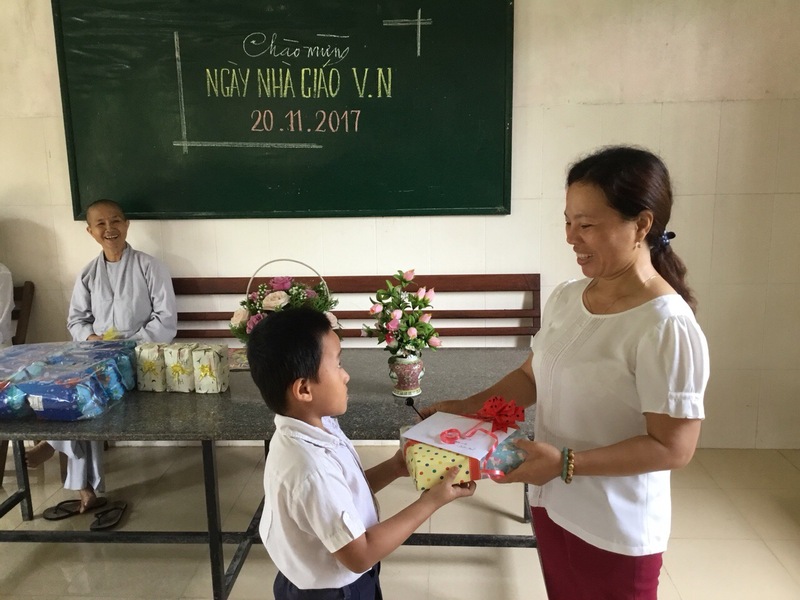 We were happy to sponsor gifts for each teacher, and a snack party for the children. 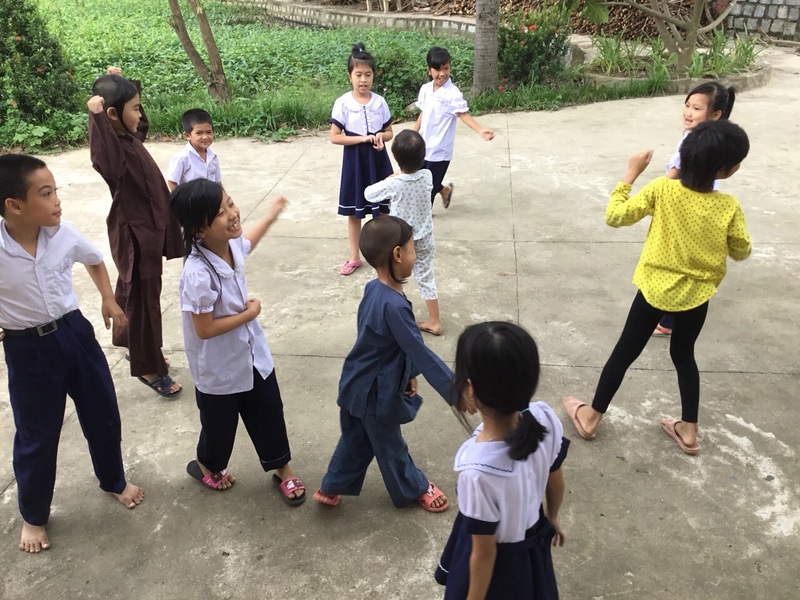 This trip was made possible through a kind donation by Juli and Kyle.